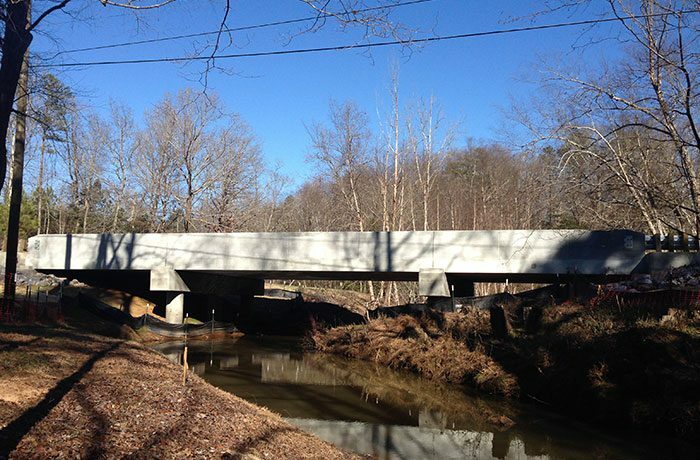 While TGS Engineers has provided turn-key design services on more than 70 bridges in the last few years, most recently these services were performed for 28 bridge replacements in the following 9 counties: Burke, McDowell, Rutherford, Guilford, Orange, Catawba, Gaston, Iredell and Lincoln. Each of these bridges ranged from 50 to 200 feet in length and many included pedestrian and bicycle considerations. TGS prepared a complete set of construction plans as well as preparing all necessary permits for each bridge. Currently, these projects are under construction with anticipated completion dates ranging from the Fall of 2016 through 2017.